Indian marble has a high demand in the world market, and the country successfully caters to all changing needs of marble lovers in a perfect way. When it comes to exporting, selling, and supplying in different parts of the world, there is a big supply chain existed in the marble industry that connects various resources. A single resource can’t control the supply structure in the whole universe. 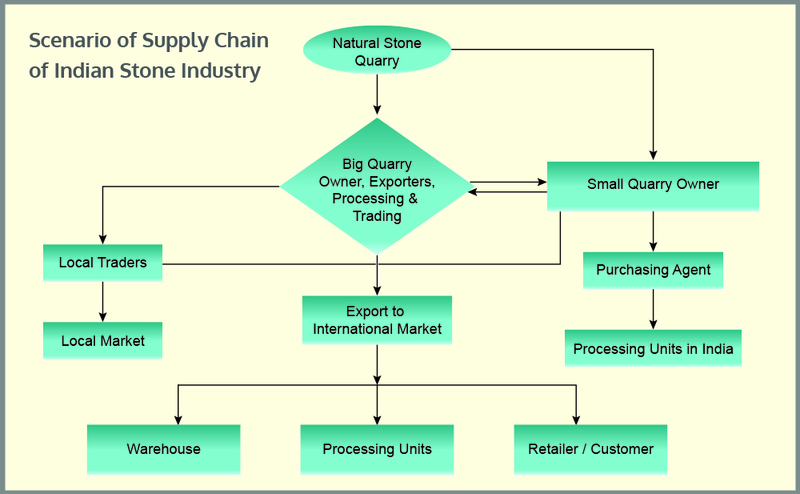 That is why a big supply chain works for the safe delivery of marble stones. Be it a marble community or a group of marble stone slab and tile supplier from India, all of them are directly or indirectly associated with the process of the supply chain. There are local and overseas bona fide suppliers that operate from India and ensure the supply of marble products in any corner of the world. Top certified natural stone companies deal in a vast array of marble along with other stones like sandstone, granite, quartzite, slate, and sandstone. They are one of the biggest manufacturers of marble in Gujarat and Rajasthan in India. With them, you can buy as per the cost of marble per square foot, color, and pattern. When you get in touch with an Indian marble company or top marble companies in India online, you get an assortment of natural stone products from Rajasthan and Gujarat like Ambaji, Rajnagar, Bidasar, Jaisalmer, Katni, and Makrana marble. When you start searching for a right Indian marble stone manufacturer and supplier, you simply need to consider various marble varieties and colors that come only from India. Main hues in which you can expect marble products from India are white, green, brown, black, pink and golden. 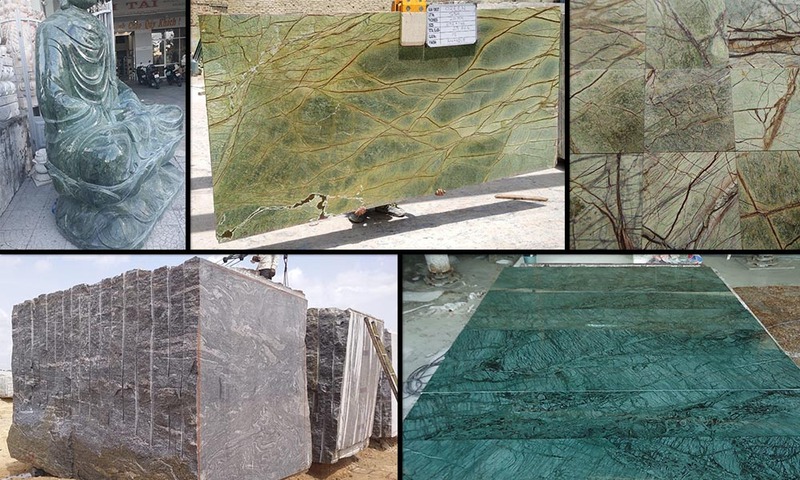 Marble stone suppliers from India also cater the needs of royal stone buyers who prefer Bruno white, fantasy brown, forest green, green onyx, pink, rain forest golden, and rain forest brown marble products. • Big and small marble quarries deliver raw materials of marble blocks and rough slabs. • Marble quarry owners, exporters, processing unit owners, and exporters supply rough and processed marble to local traders and international market. • Local traders supply polished and rough stones to the local market. • Bona fide suppliers in international markets offer polished and rough stone for warehouses, private customers, customers, and processing units. • Small quarry owners from India are involved in the supply of polished and rough marble to several purchasing agents and processing units in India. • Other players like wholesalers, importers, architects, designers, building companies, marble agents, and sourcing companies also get ready to use stone directly from Indian suppliers and manufacturers of Indian marble. • Ethical code based certificates for employee welfare and growth plans. • International Organization for Standardization (ISO) certificates for maintaining quality control at all stages of marble production and service management. • Quality management systems for compliance with global and standard quality management requirements of products and services. The online world and other offline resources render all natural stone enthusiasts proper contact details and address of the right marble supplier in India. They can also take help from various natural stone suppliers’ directories to find out prominent marble companies, portals, organizations, and individuals. To sum up, this write-up highlights the association of Indian marble suppliers to the whole world as an integral part of the global supply chain. It also helps you understand quality standards and marble product variants. For product information or sales inquiry on marble colors, price, and products go through our product gallery or can opt for a quick quote here. You can easily avail marble services, products, and benefits from Regatta Universal Exports, a popular marble supplier, manufacturer, and exporter supplier from India.